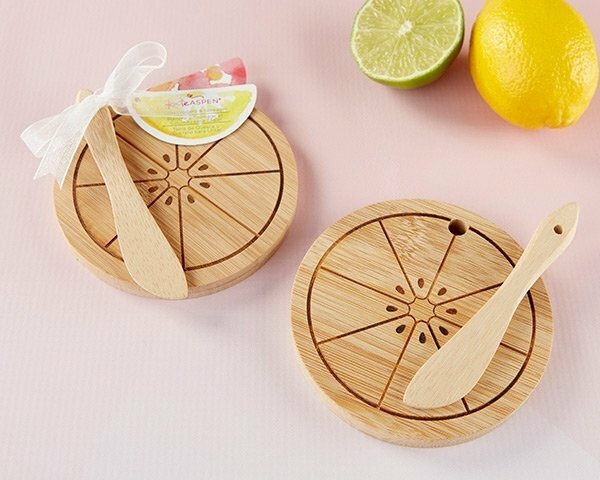 Kate Aspen's Citrus Cheeseboard and Spreader set is made from bamboo and features an etched lemon design with a matching bamboo spreader - perfect for any tropical-themed event. 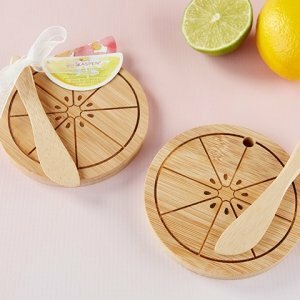 This mini cheeseboard and spreader set can be used to serve treats and appetizers or as a unique favor for guests to take home after the bridal shower, wedding or baby shower. Round bamboo cheeseboard with etched lemon slice pattern and matching bamboo cheese spreader.